Philippians 3:12-1512 Not that I have already obtained all this, or have already arrived at my goal, but I press on to take hold of that for which (Christ Jesus) took hold of me. 13 Brothers and sisters, I do not consider myself yet to have taken hold of it. But one thing I do: Forgetting what is behind and straining towardwhat is ahead, 14 I press on toward the goal to win the prize for which God has called me heavenward in (Christ Jesus). Here are a few thoughts concerning the passage above to help with starting off the New Year right. Principle #1 We have not arrived. Even though we are on the threshold of a New Year Celebration, it is vitally important to evaluate the past year. Taking time to scour our lives and critically think and pray through our previous year and pray in the New Year are practices I believe Paul and Christ would strongly encouraged understanding that we have not yet “arrived”.Sometimes looking back can be morbid and painstaking, however it is a good thing to do so that we can put the past behind us as Paul encourages. Dealing with past faults, mistakes and wrongs allows us to move with a clean slate into the future. Not arriving doesn’t mean that we haven’t gone somewhere. Taking time to look back helps us see where we started and how we got to where we are. Paul knew he had not arrived but he also knew where he was going! Principle #2 Goals are important. Paul mentions twice above that he had a goal. He kept that goal ever before him (forgetting what was behind, mind you). If you aim at nothing, you’ll still hit something but it probably won’t be what you wanted! Goals help us plan, monitor and evaluate our lives. Goals add purpose and meaning to our lives and work. They help us distinguish important things from less trivial matters. Setting some spiritual goals and physical goals are essential to having a life that thrives. Because we are a people who often like being “done” and having a sense of accomplishment, not “arriving” can be disheartening. We cannot become weary; the goal is worth it! Principle #3 Pressing on is impressive. Paul mentions above that his goals were ever before him but that he had to “press on” even with striving. Anything worth having is worth the struggle. Paul had to discipline and work hard to achieve goals for his life, so much so that he even mentions “beating” his own body! (1 Corinthians 9:25-27). When times are difficult and our bodies desire to cave in to the pressure of ease and comfort, it is always impressive to have the discipline to continue on! Paul could press on because something had made a clear and decisive impression on him. Principle #4 Some things will seize you, some things you will have to seize! Paul mentions in the above passage that he had to “take hold of” certain things. He had to grab hold of what was grabbing hold of him! There are certainly times in life in which I feel God is holding me more than I am holding Him. Paul’s challenge here is to grab hold of God! In James 4:8 we re told that if we draw near to God, He will draw near to us. When God is close, we would be well advised to grab on and not let go! Oh to be like Jacob who wrestled the Angel of the Lord and refused to let go! He had been seized and taken hold of but when the Angel desired to depart, the Angel had been seized! Far too often, we’re trying to hold onto things that we need to let go of and refuse to grab hold of that which we cannot live without. Principle #5 We exist for God’s purposes and intents. Paul uses the phrase “for which” that indicates an explanation for anything and everything. That explanation is Christ alone. Keeping Christ in the forefront of every decision in 2012 will certainly make for a great year regardless of the difficulty, stress or hardships any of us may encounter. Understanding that God’s ways and thoughts are higher than ours can assist in pressing onward in life’s more challenging moments. Resolving to live a “for which” kind of life really means a “for whom” kind of life. For whom and to whom are we going to yield ourselves too in 2012? Anyone other than Christ is not worthy of our lives. 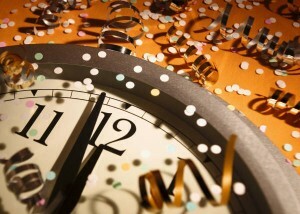 Any goal short of being fully pleasing to God (Colossians 1:10) in 2012 is not worth pursuing. As you prepare for the New Year, I hope these principles will help guide you through the threshold. As we journey together it is my deepest desire that 2012 will be a year that finds you pressing onward toward the mark of the high calling of God!